As you know, this year we won’t be at home for sukkot. We’ll be enjoying a kosher sukkot vacation in Italy! This means we won’t be building a sukkah at home, and I have to say, it’s been a good while since I didn’t have to build my own sukkah! Our sukkah is still chugging along, but it got me thinking: If we were to buy a new sukkah in the near future, what kind of sukkah would we get? Or, to put it differently: prefab or from scratch? Let’s start with the prefab option. Obviously, prefab is short for prefabricated, which means that all the main pieces are already made and you just have to assemble it yourself. They have prefab houses, so why not have prefab temporary houses (namely, a sukkah)? These are the cookie-cutter kits you see everywhere, the sets with cloth walls that show pictures of a lulav or the names of the ushpizin. The great thing about these is that they are easy to assemble, and if a part breaks or tears or gets lost, you can just pick up a replacement part because it’s the same in every kit! (Also, a secret tip: Even if you have your own custom sukkah, these prefab sukkah units are also helpful in case you need to expand your existing sukkah, like if you’re having a whole lot of guests!). On the other hand, building a sukkah from scratch is also great! The prefab sukkot all look the same (obviously! ), and building your own sukkah from scratch is a great chance for you to let your creativity shine through, and really perform your own hidur mitzvah! It’s great to be able to use the features that already exist in your backyard (like a trellis or garage door), and really build something new with your own two hands! True, it can be a little tricky if you’re not the builder kind of person (I have trouble assembling a lamp from Ikea! ), but if you’re up for the challenge then this is definitely the choice for you. Oh, and one more thing: decorations! Regardless of whether you have a prefab sukkah or if you built it all by yourself, make sure to put up lots and lots of paintings and drawings and fake fruit and whatever you can to make your sukkah beautiful, inside and out! 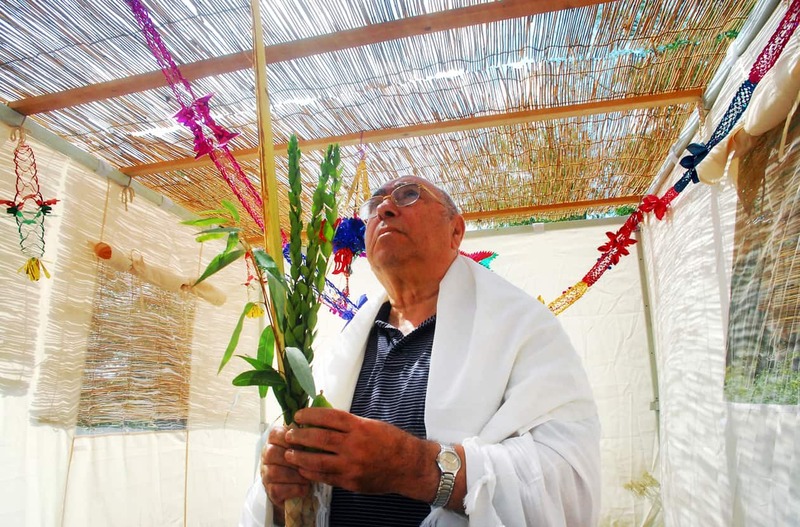 Let us take care of building the sukkah, and everything else, for you this sukkot! Contact Leisure Time Tours at 788-528-0700 to learn more about our kosher sukkot vacations.